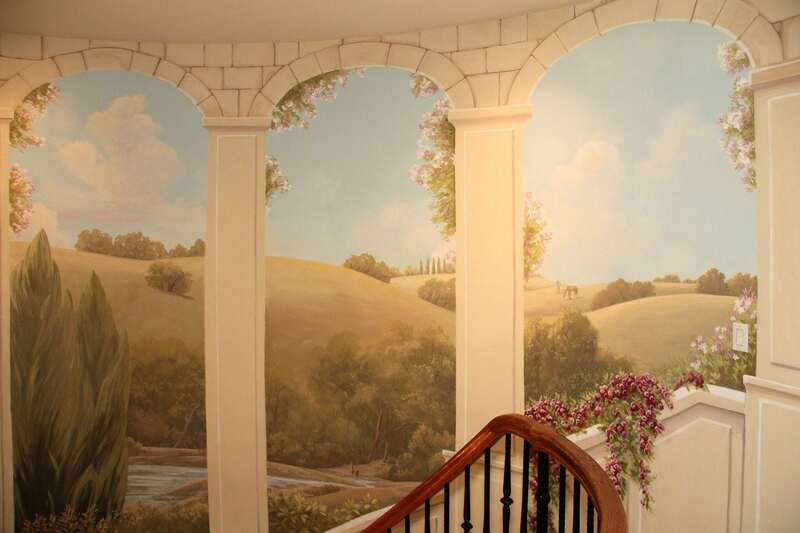 With great vision, the new owner of a quite plain home in San Jose, CA, transformed his space into a carefully crafted enclave, surrounding his family with beautiful artwork inspired by luxury villas of the renaissance. 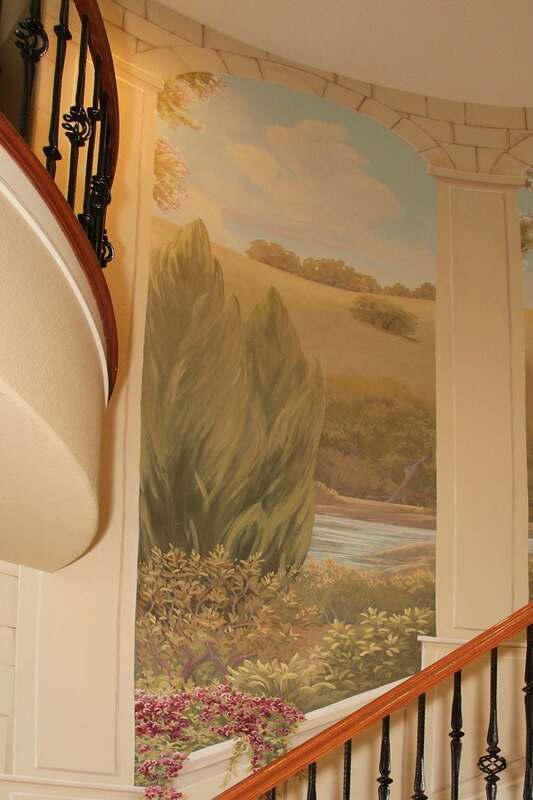 I painted an Italy inspired landscape on a spiral staircase. 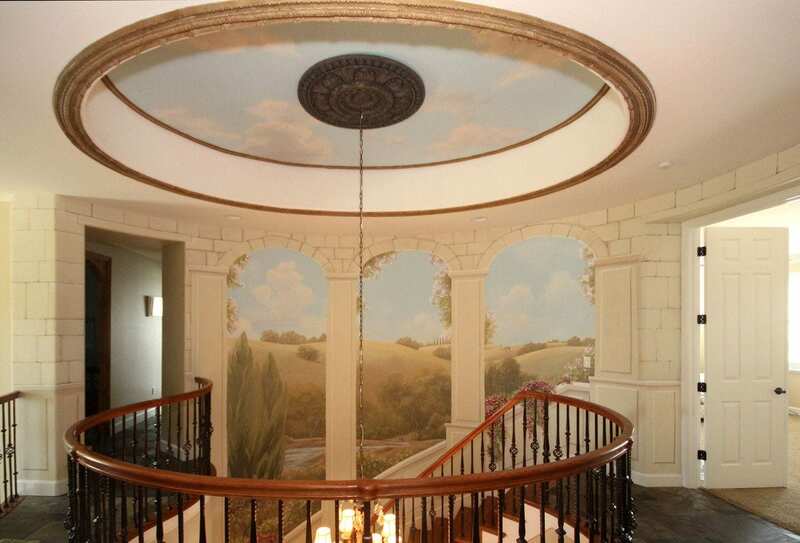 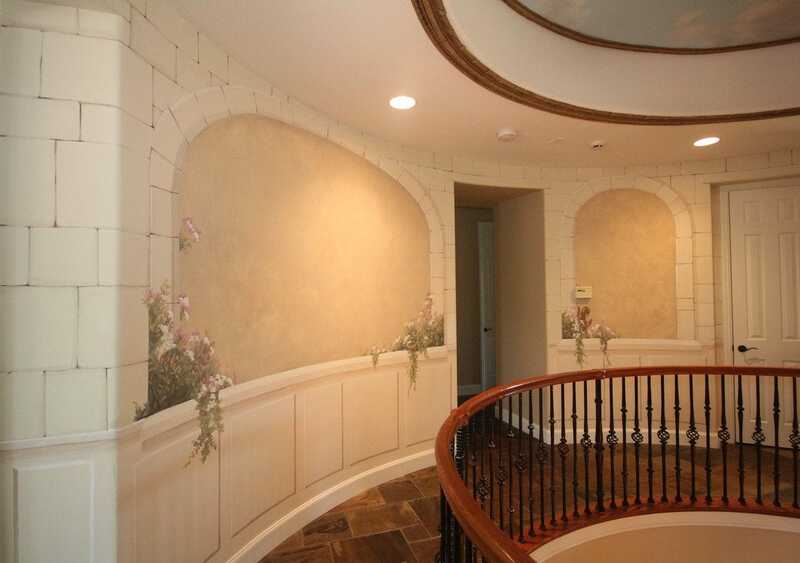 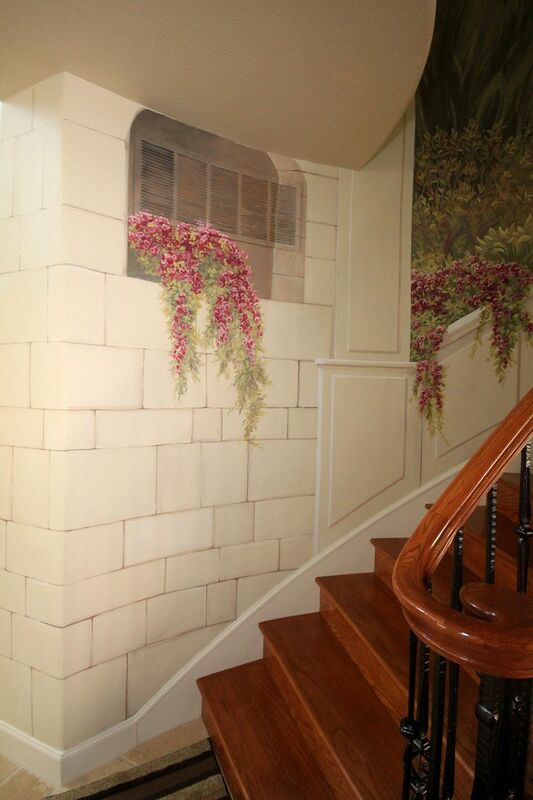 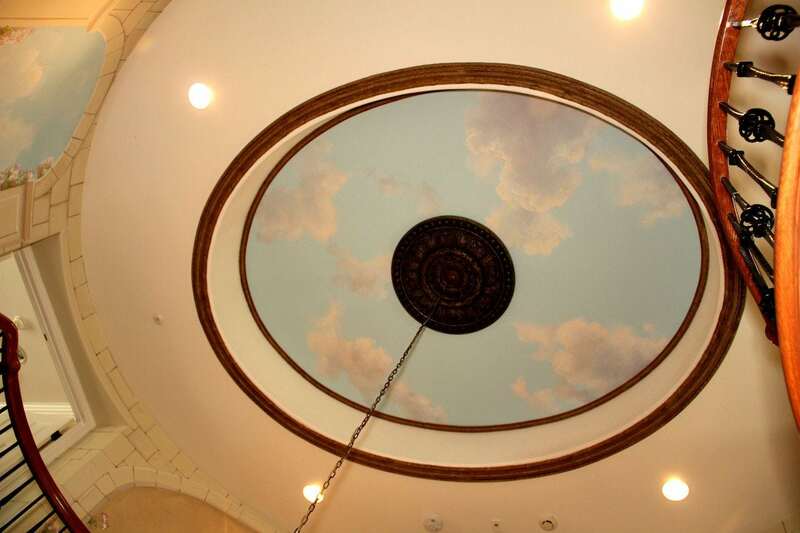 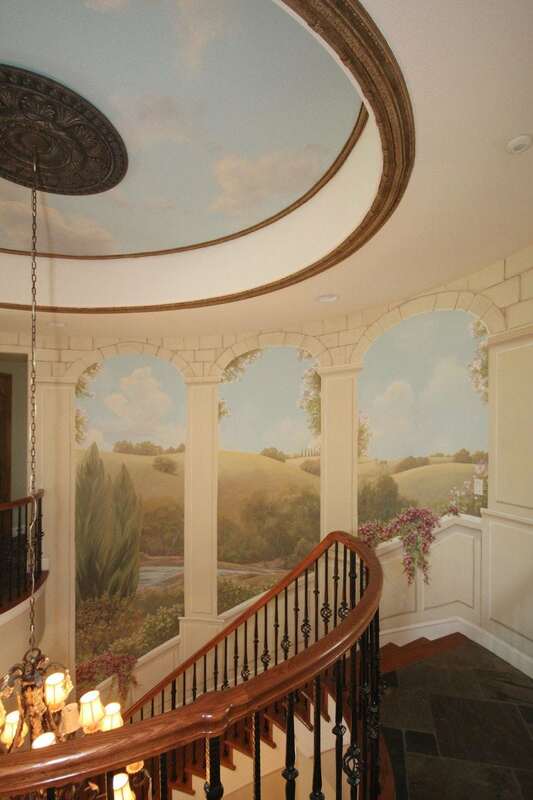 I also painted the ceiling with clouds and the stairway landing with Trompe L’Oeil limestone bricks and wall niches. 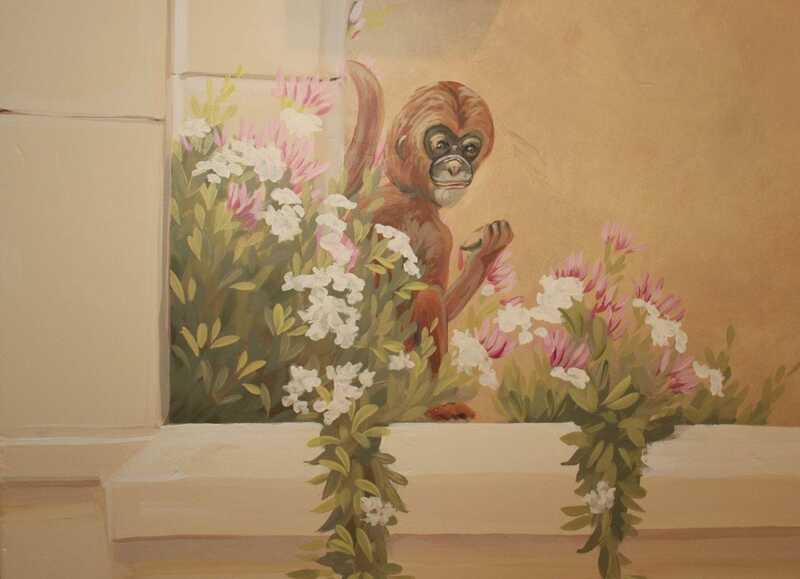 For more information about this mural project, read my blog post The Pannu Murals.